Search engine optimization is constantly changing thanks to search engines like Google regularly updating and improving their algorithms. They’re doing so to help people find what they’re looking for faster. But, as you probably know, these algorithm changes can be a nightmare for your website’s rank if you’re not following SEO best practices. The following are what’s new to Google and how you can tweak what you’re doing to avoid falling in the ranks. Mobile-friendliness, a good user experience, and quality content were the three main (and HUGE) changes in the algorithm release from Google in April 2015 (so major, it earned the name “Mobilegeddon”). What can you do to make it work for you? Make your website responsive. A responsive website will reformat and resize across all screen sizes, eliminating the need for separate desktop and mobile sites. Check content for (and avoid) keyword stuffing. Make sure your site sounds natural. Have a copywriter or a content strategist review it to make sure it’s both user-friendly and search engine optimized. Do user testing. Make sure your site is offering the best customer journey. If you can’t do user testing, check your analytics and see where people are bouncing from your site. RankBrain is a new machine-learning artificial-intelligence system that Google is now using to help sort through search results. According to Bloomberg Technology, it’s currently the ranking factor on Google, incredibly interpreting searches to find pages that might not have the exact words that were searched for. Yeah, mind blown. So if RankBrain sees an unfamiliar word or phrase, it can make a guess as to what words or phrases might have a similar meaning and filter the results accordingly. This makes Google more effective at handling never-before-seen search queries. It’s constantly learning and changing, so your SEO needs to be more nimble and adaptable to changes in the search engine rankings landscape. Social media profiles show up in search results. Having a well-optimized social page may be just as important as having a well-optimized website – especially Google+ (shocker), which gets the entire right-hand column all to itself. People use social media channels as search engines. In 2015, Facebook claimed it got around 1.5 billion search queries per day. Social links help boost your rank. External links are a large ranking factor on Google, which considers links from social posts to be quality backlinks. If you have a social post that goes viral, it’s going to really help your rank. Google’s new Answer Boxes show up at the top of search results pages before any other organic listings. 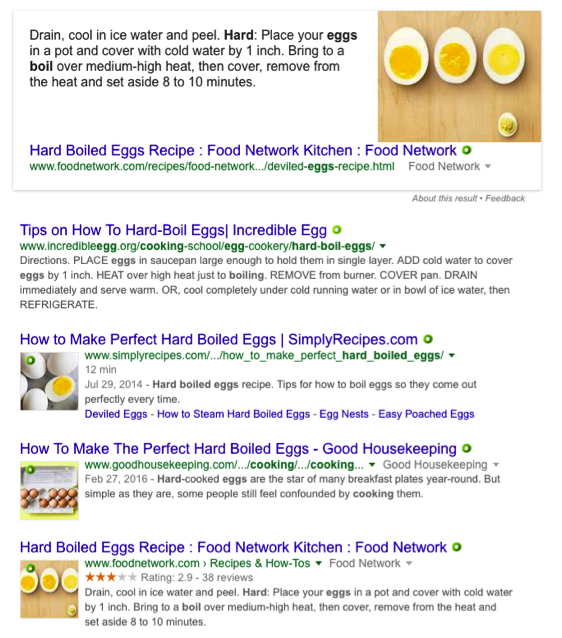 In the following example, the Food Network how-to shows up first above all other results, whereas their normal organic result is actually fourth. What does that mean for you? Focus on a niche market or become an expert on a topic. If your content is really good, and you have a strong domain authority, you may earn an Answer Box. Thoroughly answer queries of who, what, why, and how. 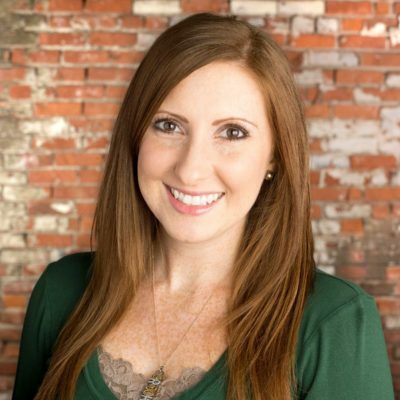 Anticipate what people are looking for in relationship to your industry. According to HubSpot, the top three results on a search query get 61% of all clicks – and 75% of search engine users never scroll past the first page of results. If you want that number-one spot, or at least to be in the top 10, make sure your site is compliant with the changes outlined above. And don’t get discouraged if you don’t see results in the first week; like the stock market, SEO requires a long-term strategy.